The New Hampshire Youth Football and Cheerleading Conference is excited to host the 2018 New England Region Cheerleading Competition for American Youth Cheer at the SNHU Arean in Manchester, NH on Saturday, November 17, 2018. 2018 AYC New England Region Cheerleading Champions!! 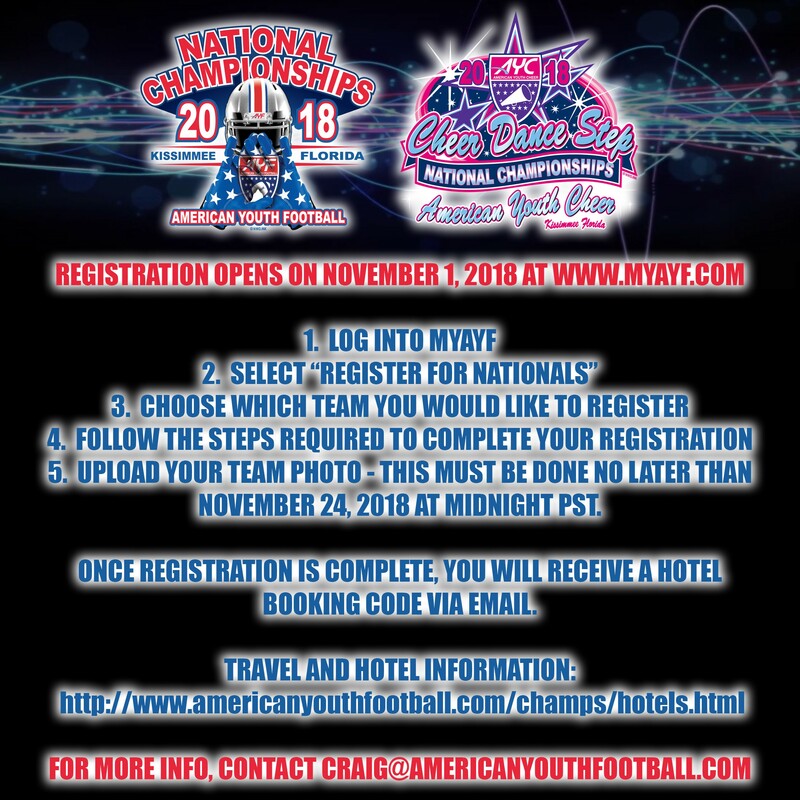 On Saturday, November 17th, the AYC New England Region and New Hampshire Youth Football & Spirit Conference hosted the 2018 AYC New England Region Cheerleading Competition. Keesha Dickey, AYC NE Region Cheer Coordinator is pleased to announce the Region Cheerleading championship results. The AYC NE Region CONGRATULATE all the Cheer, Dance & Step squads for a wonderful performance. All the squads did a fantastic job!! Click here to download a list of the 2018 AYC New England Region Cheerleading Champions. The finalist will move on to compete in the AYC National Championships the week of December 6th through December 9th at the Silver Spurs arena in Florida. We would like to congratulate all the teams that participated today. These young athletes showed everyone they are the next generation of leaders. A Special Shout Out to all the Inspiration athletes! Once again bringing the house to their feet and tears to our eyes with an exceptional routine. A fantastic group of athletes proved that nothing can hold you back once you set your mind to it. Good Luck to all our advancing squads. New England Region Staff & NHYFSC Conference Board!! Awards immediately following last performance in each session. All spectators will go through metal detectors. Cell phone and keys held in hand high overhead. No cell phone use. This includes using your phone to video and then playback while another team is on the mat. There will be several great vendors. Northwest Design for your apparel needs, Mid-coast photography for some great action shots, Varsity Media for video performance, Chalifour’s florist with reasonably priced flowers, Wild Bows, cheer bling, jewelry, and more! Let’s show great sportsmanship for all teams, clean up after ourselves, and make 2018 the best regional event it can be!! To order pre-sale tickets please contact your association cheer coordinator. Association checks only accepted for Pre-sale Ticket Orders. The SNHU Arena has a No Re-Entry Policy. NHYFSC will manage this with a volunteer. A table will be set up in the lobby by the will call door. You need your drivers license and need to sign up for re-entry before you leave. Your ticket will be scanned by SNHU Personnel, you will be provided a re-entry wristband. Upon return, you need to enter at this same area, scan your ticket, show your wristband, and license. In response to the need for heightened security procedures, SNHU Arena has implemented the following policies to ensure a safe, enjoyable event experience for all guests. It is their goal to ensure a safe and comfortable environment for all guests, tenants and co-workers. NEW ENGLAND REGION CHAMPIONSHIPS... GOOD LUCK! !